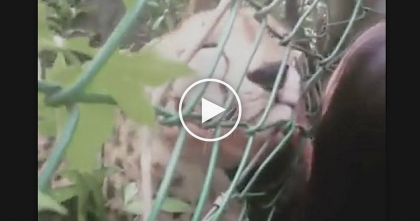 Cat Notices The Puppy In His Pen, Now Watch What He Does Next… It’s Just Hilarious!! 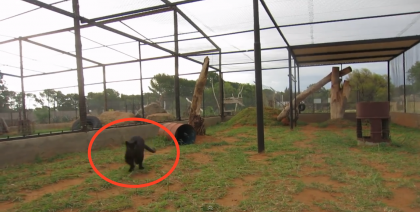 When this cat is let into the room, he immediately notices the puppy in his pen and immediately helps him escape! This cat is VERY smart and knows how to let the dog free…It happens SOO much that they decided to record exactly how it happens. 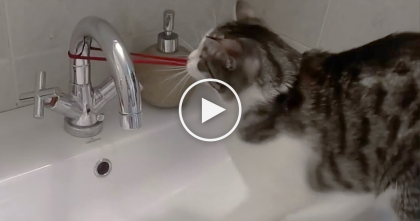 If you watch till 0:23, you’ll see just how smart this kitty is, he even uses his paw to aid in the escape! 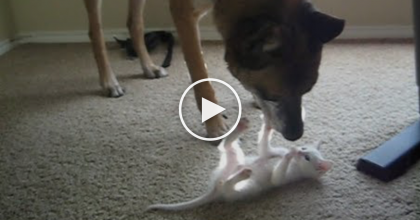 Retired Military Dog Meets Kitten For The First Time…When You See The Reaction? OMG, Adorable! 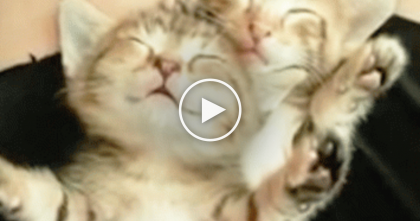 Adorable Kittens Find Their Way Into Owners Lap, But Just Take A Closer Look… Awwww! !